A beautifully illustrated book about colors. Single color depicted on each page along with matching illustrations to show examples of the color. Learn the primary colors and also how to mix colors to create others. Colors include black, blue, pink, gray, green, light blue, light green, orange, brown, purple, red, white and yellow. The ideal learning book for toddlers, children in preschool, kindergarten or a higher grade, for ages 2 through to 7. A little French girl. A visit to Grand-mère’s farm. A surprise lesson in sharing.Join Lulu and her family on a springtime trip to her grandparents’ farm. Participate in all the family fun, playing soccer and board games. Tag along with Lulu while she visits the animals, and welcomes a new baby kid.When the weather abruptly changes and the baby goat gets cold, Granf-mère pulls out her knitting needles and gets to work.A surprising request to Lulu involving her favorite ball of yarn provides a vaulable lesson in sharing!Lulu and Lainey … at the Farm is the fourth book in this picture book series for children 4 – 7 years of age. If you and your children like unique stories with suspense and surprise endings, you’ll love these books.Buy Lulu and Lainey … at the Farm today to find out how Lulu saved the day! Yapper the snapper wants to play,But all his friends are sick todayFrom the pollution in the ocean and waste in the waves.To have some fun, first he must rescue his friends along the way.Join Yapper on his heroic adventures to save the day. Otto the otter is in trouble.His pond is a mess and a muddleFrom the trash of tourists who are less than subtle.To save his home he needs some muscle.Can Otto rescue his friends and together clean up this muddy puddle? The Little Unicorn is a captivating children’s book all about a little unicorn called Chu who lives on the planet Sparkly. Chu loves to do ballet, as he loves to twist and twirl and stand up on tiptoe. He is a good, well-behaved unicorn with one bad habit, which is a tendency not to listen to his mother or his kindergarten teachers. They are forever telling the little unicorn not to talk to strangers that he does not know. The little unicorn learns a valuable life lesson and from that moment on ignores strangers. Teaches a valuable life lesson. A fun rhyming bedtime story or everyday story for your little ones with a serious and clear message about not talking to strangers. The following verse is repeated in the story making it easy to understand. “Stay away from all those you don’t know. Sometimes saving someone means saving them from themselves. That’s the sticky situation in which Sam has found himself. Having been Jack’s best friend for many years, Sam knows that being six is no easy task. With a lot of energy and many of wants and feelings, Jack sometimes finds himself in very big messes of his own design. Sometimes he can be selfish and hurt others and that’s when it’s time for Sam to spring into action! Being a super pup is hard work, but Sam loves Jack and knows that it’s his job to help protect and care for his little troublemaker. That’s the name of the game, at least, when a brand new neighbor boy comes over to play and finds himself at the mercy of one of Jack’s latest schemes! It’s up to Sam to pull Jack from the dark side and realize that making friendships, while scary, takes hard work. If Sam doesn’t save Jack from himself there will be a lot more than toys crashing down around them! Looking for a fun, educational book for children about pigs? AMAZING pigs! will engage and teach all young readers about the wonderful world of pigs and share amazing facts and brilliant real-life pictures of pigs in action. Written by a mother for her own young children to learn about animals, AMAZING pigs is part of the “Kids Discover the World” series designed to engage young children and take advantage of their curiosity in the world around them while teaching key facts in a fun and easy to digest way. Each fact is presented with a real-life photo to keep kids interested and help them learn about these amazing animals. Meet the pig today and find out just how AMAZING! they are! Looking for a fun, educational book for children about foxes? AMAZING Foxes! will engage and teach all young readers about the wonderful world of foxes and share amazing facts and brilliant real-life pictures of foxes in action.Learn about:What foxes eatWhere they liveHow big they areHow cunning they areBaby foxesAnd moreWritten by a mother for her own young children to learn about animals, AMAZING Foxes is part of the “Kids Discover the World” series designed to engage young children and take advantage of their curiosity in the world around them while teaching key facts in a fun and easy to digest way. Each fact is presented with a real-life photo to keep kids interested and help them learn about these amazing animals.Meet the fox today and find out just how AMAZING! they are! Inès and her avocado, is the story of a 6-year-old girl who discovers a treasure: an avocado. This experience will allow her to discover the simplicity and also the responsability and commitment of planting a tree from the seed. One evening Bobby confessed that he is afraid to sleep in his bed. It is a quite often situation for little kids. Bobby’s Mom treats with understanding to his feelings and peculiarly calms him. She makes up a story that makes her son smile and ready to sleep. What is this story about? Just start to read, and you’ll find out! The International BestsellerAudible special offer: get a free audiobook with Audible trialEmotions & Feelings Series Book 6Why dragons are yelling, slamming doors and having tantrums? Despite our best efforts, reality doesn’t always meet our expectations. There is no need to be upset or mad.Here’s what readers are already saying about this amazing picture book:”My kids loved this book and wanted to read it often.” — Tony “‘Favorite anger book for children at my home daycare. There’s something about dragons that hits a sweet spot for many kids.” — Mary “This is the best book for the ever-shifting moods of preschool kids. ” — Sam Ben has a pet dragon called Gronk. Dragon always gets angry when he doesn’t get what he wants, or when things don’t go his way. Gronk experiences the things that make him furious, but he also learns ways to deal with the anger–ways that won’t hurt others. Warning: Dragon Overload!The best childrens book about a dragon – so good, dragon-loving adults should check it out too! You and your kids will love this book for ages 3 5…grab it now while it’s still available at this discounted price. Audible special offer: get a free audiobook with Audible trialEmotions & Feelings Series Book 2 A little Dinosaur gets annoyed easily, sometimes for no reason at all! Simple rhymes, cute characters in adorable settings, and sweet, comforting addition to your child’s nighttime routine. Here’s what readers are already saying about this amazing kids book: “This is really helpful for toddler. My 2 year old son is having some real issues with anger. ” — Kate “The dinosaur story is so good. 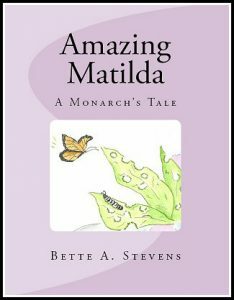 It has a perfect lesson for kids” — Josh “This is a really sweet childrens book. It’s perfect for ages 3 to 5. My kids can really relate to the little Dinosaur ” — Amy Boy has a friend Dinosaur. Dinosaurs represent all the kids: when they want something, they go out and get it.Let’s be honest the Dino is having an ugly tantrum. Dinosaur battles against his friends, food and even grown-ups. Warning: Cuteness Overload!This book contains colorful dinosaur illustrations. Lots of them. Enjoy these little sweeties, perfect alongside beautiful rhymes. You and your kids will love this childrens book…grab it now while it’s still available at this discounted price. Don’t miss this delicious Halloween treat! In this beautifully illustrated sixth volume of Lapid and Pasek’s award-winning picture book series, Dan and Snowman Paul have a Halloween tree-house party, wearing costumes, telling stories, singing songs and getting themselves deliciously spooked. Aliens, witches, dragons and ghosts abound and dire warning signs are everywhere. But will they stop eager visitors from advancing?Don’t dare come near this tree house.Don’t even risk a glance.But if you do, we’re warning you:There is no second chance!A dragon will approach you,And take you on a ride.He’ll bring you to a party,Where dragons dance outside!Offering a fine-tuned blend of mild suspense and reassuring humor this holiday-themed picture book will transport your children into a dream-world where they can safely experience Halloween their own way. The story line encourages children to push past their fears on this spookily entertaining day. The book is perfect for a traditional Halloween-night bedtime story to be enjoyed by the entire family. With catchy rhymes and simple vocabulary, the book is also ideal for beginner readers.Want to experience fabulous and spooky fun? Join Dan and Snowman Paul in this imaginative and whimsical Halloween adventure.Scroll up and grab your copy now! Winner of 7th Annual Beverly Hills Book Awards in the “Environment” category.”This beautifully illustrated story was listened to avidly by my two grandsons and was the perfect way to explain to them that the environment is everyone’s responsibility, the dangers caused to wildlife by rubbish, and how important it is to take care of our world.”From high above the clouds to the depths of the sea, the rescue elves, or Relves for short, are ready for anything! All year they practise to make sure they’re sharp. They travel the world swiftly and quickly to ensure that Santa makes it safely to your home each year.When the Relves take on their latest mission to the deep, dark depths of the sea, they find a lot more than colorful fish.For it appears that Santa’s sleigh isn’t the only thing stuck out on the high seas, as the Relves discover a man-made island full of plastic and trash! So what else can highly trained Relves do when they find that the ocean and many of its animals are in danger? They get to work!Follow along with the brave little Relves as they make it their mission to save the animals, the ocean, and get to the bottom of this plastic island. Learn about the dangers of plastic waste and the sad state of the world’s oceans as the Relves explore the effects of humans on our gentle, beautiful world.